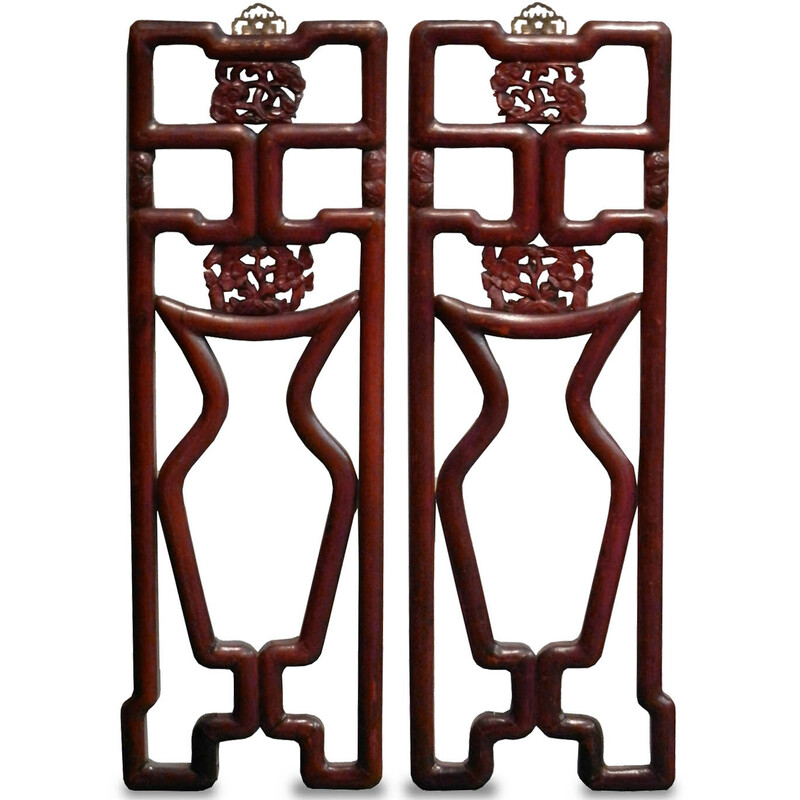 Pair of good antique architectural panels with finely carved motifs and vase shape lattice work; possibly Nan-Mu or other similar dense wood. With original brown-red lacquer finish; mounted with new hanging fittings on top. The pronounciation of Chinese character "vase" is the same as the character "harmony" or "safety". 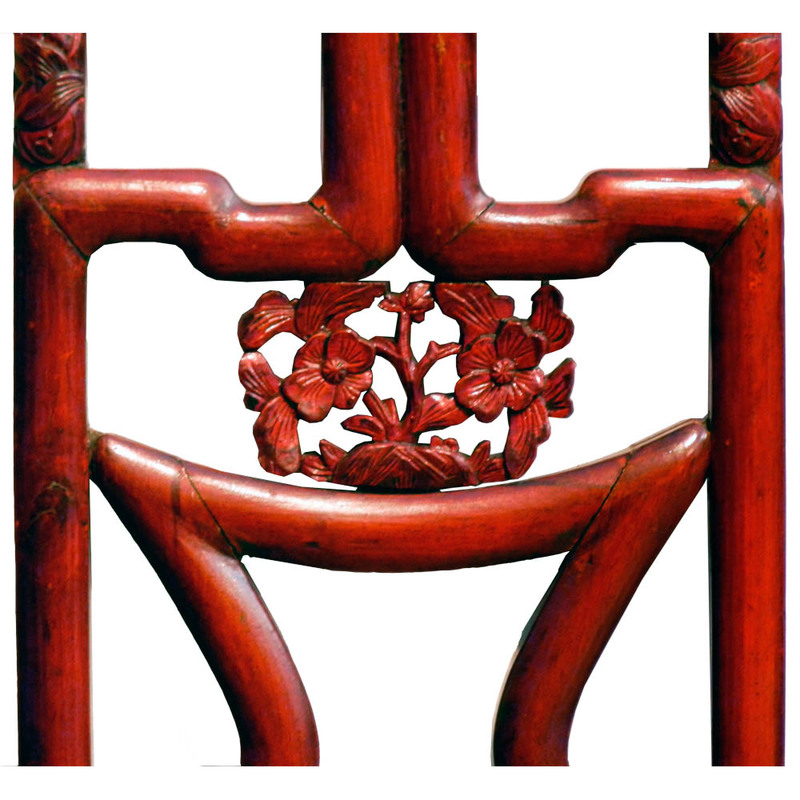 In ancient Chinese wood work, the vase symbol is often use as an auspicious symbol for home decoration.